Kia has been going through a design revolution that has finally made their cars look, dare I say, cool. As many of us already knew, driving around in a Kia was not exactly a goal many aspired towards. However, that&apos;s all changed since Peter Schreyer became head of design. With successes such as the new Optima, Forte, and Sportage, Kia has proven that it can design 21st century cars with style. Now, the South Korean automaker has unveiled their next offering from Schreyer&apos;s design studio. The 2012 Kia Rio is arguably worlds better looking than the model it replaces. Overall, it has grown about two inches in length and is nearly an inch lower. It will be available in three different body styles such as 3-, 4-, and 5-door variants, depending on the specific market. It also has the now familiar Kia front grille, albeit with a bit of a twist with integrated headlamps that give it a more dynamic and sporty stance. This B-segment compact is set to go head-to-head with the new Ford Fiesta, which proved that a small compact can be stylish and even sporty at the same time. 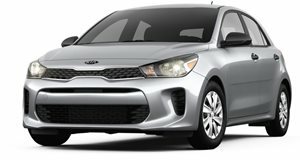 Kia is even betting that they can grab a share of the market by styling the Rio to have a "blend of Korean spice and Latin flair." Engine options range from six different gas and diesel options. Depending on the market once again, buyers will be able to choose from a compact 70 hp 1.1-liter diesel for Europe to a 140-hp 1.6-liter direct-injection inline-four gasoline engine for the U.S. market. 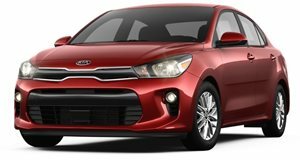 The new Rio is a very important car for Kia, as it was the automaker&apos;s third-best selling global product in 2010 with a total of 219,000 units sold. Official pricing has not yet been announced and a full debut is set to take place at the upcoming 2011 Geneva Motor Show in March.